Chinese investment in Australia dropped to AUD 8.2 billion in 2018 – down by 36.3 percent from 2017. Private companies dominated the investment landscape, accounting for 87 percent of deal value and over 92 percent of deal volume. 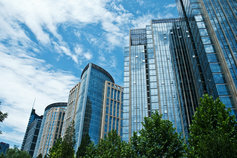 Healthcare was the most popular sector for Chinese investors, with commercial real estate falling to second position. Chinese investors still see Australia as a relatively attractive country to invest in, with an improving political climate, but they also confirmed that they are finding it harder to get capital out of China, and there are challenges raising capital in Australia. 2018 was a year of uncertainty in global economic affairs amidst slower global growth, decline of global foreign direct investment (FDI) and general apprehension about worsening conditions for international business. China remains a major global foreign investor, with the latest official figures showing that in 2018 China’s outbound direct investment (ODI) actually grew 4.2 percent from a year earlier to reach USD 129.8 billion in 2018. Despite this, Australia has felt the pinch of a significant reduction to our shores, reflecting the impact of policy changes in China. Our rate of decline has been accelerating and is now closer to the trend observed in the United States and Canada, where Chinese Overseas Direct Investment dropped by 83 percent (in USD terms) and 47 percent (in USD terms) respectively in 2018. This April 2019 report is the latest in a series of 'Demystifying Chinese Investment in Australia' reports, by KPMG and The University of Sydney. The report analyses Chinese Overseas Direct Investment (ODI) into Australia in calendar year 2018. Knight Frank contributed data and analysis on commercial real estate transactions. The report also incorporates the bi-annual Chinese Investors in Australia Survey – providing insights into the perceptions of the Australian investment climate by Chinese investors. Chinese investment in Australia declined by 37.6 percent from USD 10. billion in 2017 to USD 6.2 billion in 2018. In AUD terms the rate of decline was 36.3 percent from AUD 13 billion in 2017 to AUD 8.2 billion in 2018. The rate of decline has accelerated since 2017 and is now closer to the trend observed in the United States and Canada where Chinese ODI dropped by 83 percent and 47 percent respectively in 2018. Private companies accounted for 87 percent of deal value and over 92 percent of deal volume with an overall trend towards smaller sized deals. State-owned enterprise investment in Australia contributed only 8 percent in deal volume and 13 percent of deal value in 2018. Healthcare was the most popular sector for Chinese investors, attracting 42 percent of total investment in 2018 and maintaining the growth trend of previous years. Commercial real estate fell to second position with 35.8 percent of total value. New mining investment has dropped sharply in 2018 after a big year in 2017. While global foreign direct investment (FDI) in 2018 declined by 19 percent to USD 1.2 trillion, Chinese global outbound direct investment actually grew by 4.2 percent in 2018 to reach USD 129.8 billion. Our Chinese Investors in Australia Survey revealed Chinese executives still see Australia as a relatively attractive country to invest with improving political climate and there has been a slight increase in their sense of feeling welcome to invest. Survey respondents also confirmed it’s getting harder to get capital out of China, there are challenges in raising capital in Australia and there is a deteriorating outlook for revenue and profit growth in 2019. It seems Australia’s investment links with China may be increasingly affected by global, rather than purely bilateral dynamics. At the same time, the recent decline in Chinese investment in Australia provides an opportunity to reflect on the role that future Chinese investment should play in Australia’s long-term domestic economy and our economic integration into the Asian region. This should be done with clear focus on the new opportunities for foreign investment which are expected to continue to open up in the China market, including with the implementation of the new Foreign Investment Law and related rules and regulations. Whilst Chinese investors confirm they remain positive about many aspects of the Australian market and its prospects compared with many other countries, there is an increasing concern around transparency of regulations, high costs and their continued perception of being unwelcome as reflected by negative Australian media coverage. It is against this backdrop that Australian companies seeking further investment must continue to explore and present unique opportunities that appeal to the key value drivers of targeted Chinese investors if Australia is to remain a leading destination for Chinese investment. Research on Chinese investment in Australia written collaboratively with the University of Sydney China Studies Centre. Our Australia China Business Practice assists Chinese companies investing in Australia and supports Australian companies investing in China.